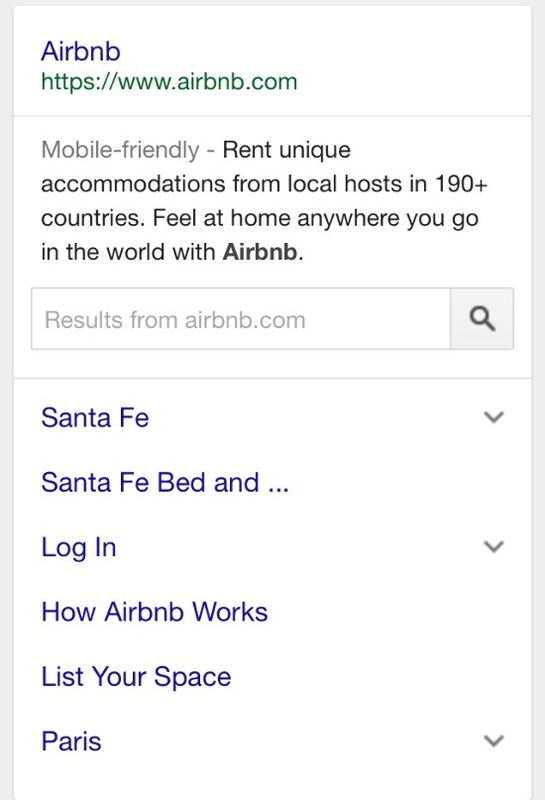 Two weeks ago, Engage Interactive’s head of SEO Shree Vaidya discovered that Google had expanded sitelink listings in mobile search. The recent expansion has profound implications for apartment communities with search engine optimized websites, and may lead to a change in the way users navigate sites. Sitelinks are hyperlinks to website subpages that appear under certain Google listings in order to help users navigate the site. Google awards sitelinks to pages and sites based on merit. They cannot be added by webmaster request, and must be earned through quality search engine optimization practices. Having sitelinks beneath your website’s main Google listing has several advantages, but the primary advantage is visibility. For example, consider a simple situation where a user is looking for pet-friendly apartments in Philadelphia, but only uses the keyword phrase "apartments in Philadelphia." If that search query returns a Google listing that has a sitelink titled "Pet-friendly Units," the user is more than likely going to click on that sitelink. According to Search Engine Watch, Shree Vaidya believes that Google expanded mobile sitelinks in an effort to eliminate the need for other search engines, and more specifically apps for niche searches. His reasoning is based on a fundamental concept in user experience design, which asserts that users gravitate towards sites that can get them the information they want as quickly as possible. Under this concept, the best U/X design for a mobile app is one which requires fewer clicks and opens fewer windows, since opening new windows takes time, and connection speeds on mobile devices are typically slower. By expanding its sitelink listings, Google has given users the tools they need to get to the information they want, while simultaneously eliminating the need to travel through funnel pages that open unnecessary windows.